When there are ten children in the family, who gets to go to school? When there is no food left for tomorrow, how will they pay for registration? If the child can make $10 for the day, why should they pay for her to go to school? So many families in the rural areas of the country do not have the means to pay. Many do not even understand the necessity of an education for their children and so they cannot justify the expense. That is where our sponsorship programs help to meet a very large need in the community. Together we can cover the school fees so that children will get the necessary education. $75 will cover tuition and registration to send a child to school for one year. An additional $25 will help with additional educational materials. Our goal is to facilitate the development of the child academically, physically, psychologically, socially and spiritually. Furthermore our goal is to see our students mature with a vision based on godly principles and an expanding worldview to ensure a productive future for themselves and Belize. This is a fun time after school where children can learn more about the Bible and their relationship with Jesus. Bible stories, songs, memory verses and related activities are all a part of this time for children from ages 5-12. Oasis summer school runs for 4 weeks during the summer. 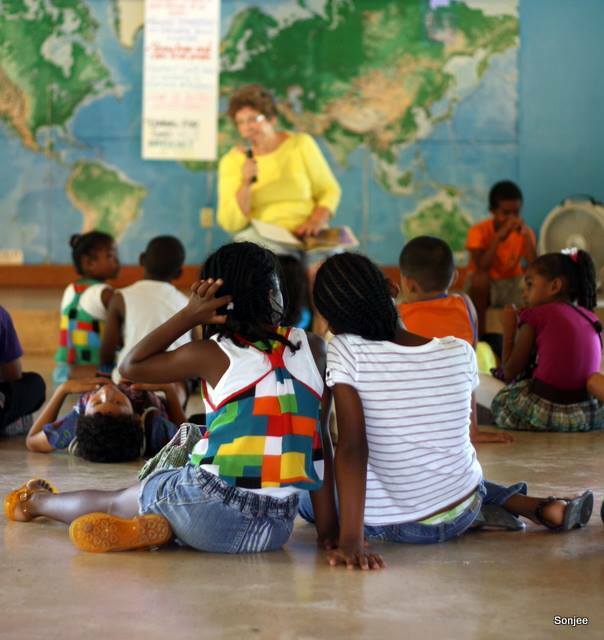 We have about 80 students, and high school students teach the classes along with members of the short term mission teams that come to Belize at that time. We teach classes in subjects that they don’t usually get in their school, along with a lot of hands-on experiences. We follow a theme for the summer and include Bible lessons.